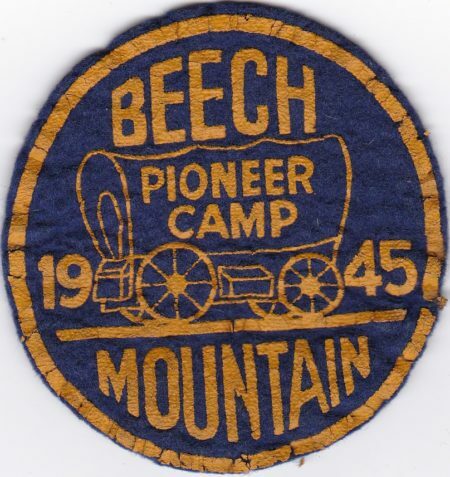 My first post in that category of per-1960 NYS Scout Camps was a felt pocket patch from Beech Mountain Scout Camps and a few days ago I posted one for 1944. Here is a dated one from 1945 this one also says Beech Mountain Pioneer Camp. Was there a difference in the program between Beech Mountain Scout Camp and Beech Mountain Pioneer Camp? Or was it just a name change at some point? Who knows the rest of the story.